Postler email client from Elementary team features a fast, nice and clean interface. 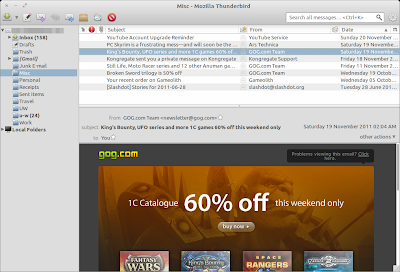 However, Thunderbird has some advanced features giving you better control. 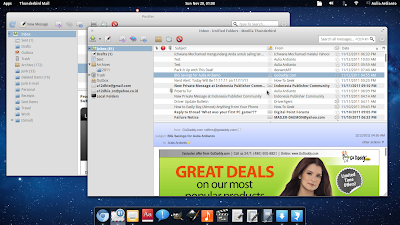 If you want to have best of both worlds, follow the tutorial below to make Thunderbird look like Postler email client. This guide has been written by a12dhie from DeviantART plus some small additions by me. You need to install Elementary GTK & Icon theme. In Oneiric you can install them from here and here. Download Elementary.human 1.3 theme for Thunderbird (search it on Thunderbird Add-ons manager and apply it. Download another Add-on called "Compact Menu" (just search it on Add-ons manager, install and apply it. To shrink the search bar keep adding "flexible space" from the customize toolbar dialog until you get the searchbar shrinked. Go to View > Toolbar and uncheck Quick Filter Bar. Click on any email message. Now in message pane you will see an info bar with different icons for replying, forwarding etc. Right click, click on customize and remove them by dragging as we have already added them on top bar. Thats it. 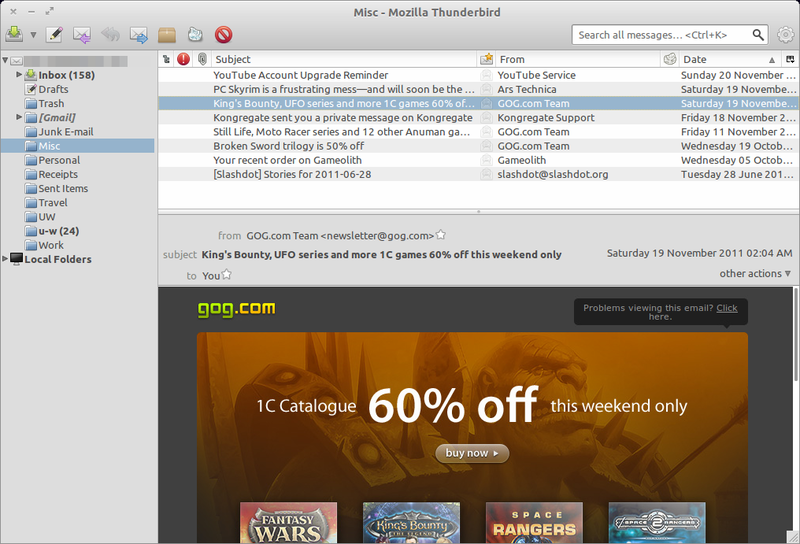 Here is what my Thunderbird looks right now.